Dr Sandra Galvin is the coordinator for the HRB-TMRN and is based in the School of Nursing and Midwifery, National University of Ireland Galway. Sandra graduated with a PhD in Bacteriology in 2010 from NUI Galway, after which she worked as a postdoctoral researcher the Department of Clinical Microbiology in the Royal College of Surgeons in Ireland in Dublin. 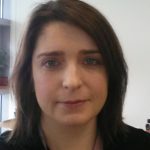 In 2012 Sandra joined an interdisciplinary team at the Discipline of General Practice, NUI Galway as a Research Fellow working on a behaviour change intervention to improve antimicrobial prescribing by GPs in the community. Dr Galvin has published over 19 peer reviewed papers and her interests include publicising research findings through social media and creating community awareness around the importance of clinical trials. 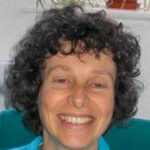 Sandra is heavily involved in developing trial methodology research and oversees the strategic development and management of the HRB-TMRN.